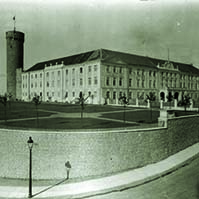 The Riigikogu supported with 59 votes in favour the Proposal No. 18 from the Chancellor of Justice on bringing the regulation concerning sympathy strikes provided in the Collective Labour Dispute Resolution Act into conformity with the Constitution. As regards advance warnings of sympathy strikes, the Chancellor of Justice found that a three-day term for the advance notice of sympathy strikes is too short and it is not in conformity with the Constitution. In the opinion of the Chancellor of Justice, a three-day term is insufficient for undertakings, including providers of vital services (e.g. water, gas, waste and electricity undertakings) to be able to reorganise their work to the necessary extent and there is an actual risk that undertakings as well as the state and the population in general suffer excessive damage because of a sympathy strike being organised. On the basis of that, Teder made a proposal to bring subsection 18 (3) of the Collective Labour Dispute Resolution Act into conformity with §§ 13, 14, 19 and 31 of the Constitution in conjunction with § 11. 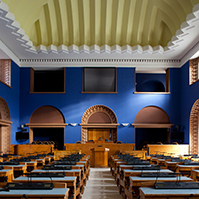 A proposal was made to the Social Affairs Committee of the Riigikogu to initiate a Bill for bringing subsection 18 (3) of the Collective Labour Dispute Resolution Act into conformity with the Constitution. 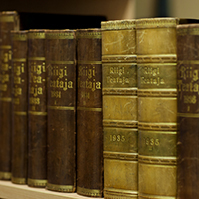 Eleven members of the Riigikogu voted against the proposal from the Chancellor of Justice. The Riigikogu supported with 56 votes in favour the Proposal No. 19 from the Chancellor of Justice concerning bringing the Product Conformity Act into conformity with the Constitution. The Chancellor of Justice found that the Product Conformity Act provides an opportunity to provide in legislation mandatory references to standards and, as a result of that, a standard which has been passed by a private law organisation and which falls under copyright restrictions acquires essentially the authority of an Act. In the opinion of the Chancellor of Justice, if the technical solutions set out in standards are made binding, this will restrict scientific and technical development as people will be deprived of the opportunity to create products and services up to the most recent and safest technical level of development. In the opinion of the Chancellor of Justice, the protection of legal rights can be achieved equally efficiently by recommendational references to standards. 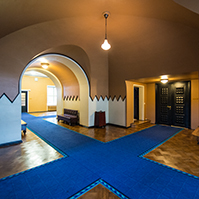 In this connection, the Chancellor of Justice made a proposal to the Riigikogu to bring the relevant provisions of the Product Conformity Act into conformity with the Constitution. 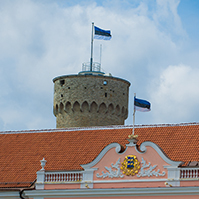 A proposal was made to the Economic Affairs Committee of the Riigikogu to initiate a Bill on bringing sentences no. 1 and no. 2 of subsection 42 (4) of the Product Conformity Act into conformity with the Constitution. On the motion of the Social Affairs Committee, the first reading of the Bill on Amendments to the State Pension Insurance Act and Other Associated Acts (248 SE), initiated by the Government, was concluded. The aim of the Bill is to resolve the problems which have arisen in granting state pensions, allowances and benefits, as well as technical issues which do not involve contentual amendments. The Bill is intended to provide the regulation of the giving of testimony by witnesses for certification of years of pensionable service, to regulate the transfer of persons receiving an early-retirement pension to another type of pension, to provide a more favourable basis of the calculation of the pension qualifying period for receiving a pension for incapacity for work for persons who are disabled since childhood, to amend the provisions concerning the payment of pensions on the basis of international agreements, to establish the use of the population register data upon certification of years of pensionable service, and to amend the provisions concerning the chief processor of the state pension insurance register and the state pension insurance register. In the Parental Benefits Act, the payment of the parental benefit in the case of a punishment imposed on a parent by a court is specified. Also, the Social Insurance Board is defined as the single administrative authority of the social sphere. The Bill was sent to the second reading. On the motion of the Social Affairs Committee, the first reading of the Bill on Amendments to the Medicinal Products Act (257 SE), initiated by the Government, was concluded. 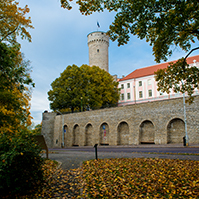 The purpose of the Bill is to create a legal basis for transferring the role of the chief processor of the prescription centre from the Ministry of Social Affairs to the Estonian Health Insurance Fund. According to the current law, the Ministry of Social Affairs is the chief processor; however, it has no direct connection with the daily work of the prescription centre. In addition, the Bill specifies the obligation of providers of pharmacy services to enter the data concerning a prescription issued on paper to the prescription centre immediately after receipt of a prescription. According to the current law, data have to be entered within three working days as of receipt of a prescription. The initiator stated that such a time criterion has caused submission of false information to the prescription centre. The Bill was sent to the second reading. On the motion of the Rural Affairs Committee, the first reading of the Bill on Ratification of the Agreement Establishing the International Fund for Agricultural Development (262 SE), initiated by the Government, was concluded. According to the Bill, the Agreement establishing this Fund is ratified. The objective of the Fund is to mobilize additional resources to be made available on concessional terms for agricultural development in developing Member States. In fulfilling this objective the Fund shall provide financing primarily for projects and programmes specifically designed to introduce, expand or improve food production systems and to strengthen related policies and institutions within the framework of national priorities and strategies. In fulfilling its objectives the Fund takes into consideration: the need to increase food production in the poorest food deficit countries; the potential for increasing food production in other developing countries; and the importance of improving the nutritional level of the poorest populations in developing countries and the conditions of their lives. The Bill was sent to the second reading. On the motion of the Environment Committee, the first reading of the Bill on Amendments to the Fishing Act (255 SE), initiated by the Government, was concluded. The aim of the Bill is to bring the Act into conformity with the Council of the European Union Regulation establishing a Community control system for ensuring compliance with the rules of the common fisheries policy. It also increases the flexibility of the possibilities to establish the allowable annual catch allocated to the Republic of Estonia on Lake Peipus, Lake Lämmijärv, Lake Pskov, and the Government is granted the right to establish the allowable annual catch of a fish species by half-years, if necessary. The Bill was sent to the second reading. On the motion of the Finance Committee, the first reading of the Bill on Ratification of the Treaty on Stability, Coordination and Governance in the Economic and Monetary Union (249 SE), initiated by the Government, was concluded. The aim of this Treaty is to strengthen the economic pillar of the economic and monetary union by adopting a set of rules intended to foster budgetary discipline of Member States through a fiscal compact, to strengthen the coordination of the economic policies of Member States and to improve the governance of the euro area. According to the Treaty, Member States undertake to prevent a general government deficit becoming excessive and they assign the European Commission with the task of monitoring the balance of the general government and the general government debt of Member States. The calculation will be based on the ratio of the general government deficit to gross domestic product with the reference value of 3% and the ratio of the general government debt to gross domestic product with the reference value of 60% of GDP. The Treaty also provides that, where a Contracting Party considers that another Contracting Party is in breach of the fiscal compact, it may bring the matter to the Court of Justice of the European Union. If the Court of Justice finds that the Contracting Party concerned has not complied with its judgment, it may impose on it a lump sum or a penalty payment appropriate in the circumstances and that shall not exceed 0,1 % of its gross domestic product. The amounts imposed on a Contracting Party whose currency is the euro shall be payable to the European Stability Mechanism. The amounts imposed on the other Contracting Parties will be paid to the general budget of the European Union. The Bill was sent to the second reading. On the motion of the Legal Affairs Committee, the first reading of the Bill on Amendments to the Law of Obligations Act (266 SE), initiated by the Government, was concluded. The Bill transposes into Estonian law the European Commission directive providing additional assumptions for the calculation of the annual percentage rate of charge. In the Estonian market, the amendments proposed by the Bill affect above all charge credit cards and fixed-payment credit cards. The existence of uniform and specified rules enables to calculate the annual percentage rate of charge on uniform bases and in a uniform manner in all twenty seven member states of the European Union. As one of the main aims of the regulation of the annual percentage rate of charge is to enable consumers to compare credit products with one another in the precontractual period, then the calculation of the annual percentage rate of charge in a uniform manner will help reach a situation where the annual percentage rate of charge would be a comparable indicator. This will give better opportunities for consumers to make their decisions to take credit in full knowledge of the facts which in turn means better consumer protection. The Bill was sent to the second reading. On the motion of the Legal Affairs Committee, the first reading of the Bill on Amendments to the Commercial Code and Other Associated Acts (258 SE), initiated by the Government, was concluded. The Bill creates preconditions for implementation of the new processing software of the commercial register. The processing software was built based on new grounds: paper-free management, automation of work procedures and information exchange with other systems. The new regulation creates a possibility for registration departments to also process petitions for an entry from other departments and to make entries on registry cards in order to thereby level out the workload of registration departments. Also, the minimum amount of fine is reduced from 320 euro to 200 euro because, in the opinion of the initiator, the current fine rate is unreasonably high for smaller companies and non-profit organisations. The amendments concerning the land register eliminate the restriction according to which a land registry department may maintain a land register only concerning the registered immovables located in its territorial jurisdiction. The Bill was sent to the second reading. On the motion of the Legal Affairs Committee, the first reading of the Bill on Amendments to the Imprisonment Act, the Probation Supervision Act and the Penal Code (264 SE), initiated by the Government, was concluded. The Bill is intended to resolve the issues that have arisen in practice in execution of imprisonment and the organisation of prison service and, with amendments to the Penal Code, to ensure better control over convicted offenders who are subjected under the supervision of a probation supervisor, etc. The Imprisonment Act is amended by adding cases in which a prison has to refuse to allow long- or short term visits to a prisoner. It establishes a possibility to impose an electronic surveillance device which is attached to the leg of the prisoner as an additional guarantee to a prisoner who is allowed to move around outside the prison in connection with studying, working and other similar activities. The Imprisonment Act is amended by adding provisions which allow prison service officers to react to violations of law which are directed against the prison but are committed outside the boundaries of the prison. The most common examples here are the cases when persons try to smuggle prohibited items into the prison by throwing them over the prison wall. In addition, more specified and thorough requirements for the background check and medical examination of prison officers are provided, and several other amendments are made. The Bill was sent to the second reading.